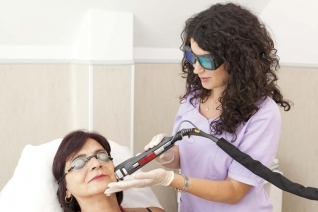 The most effective method for treatment of blood vessels and vascular lesions, is the so-called NdYAG laser. The radiation of Synchro FT makes it possible to effectively treat enlarged capillaries and small hemangiomas star venous network without damaging other structures. How does it feel during treatment? Patients often describe the feeling similar to a slight prick. Special cooling system minimizes discomfort and prevents heating of healthy skin. For more detailed explanation, please, do not hesitate to call us: +359 2 439 31 31. The consultation is free of charge.